Brooke and friends at Jazz Fest 2010. For official Jazz Fest information, visit this site for schedule, lineup, and other attractions. There is so much to do and see at Jazz Fest. From the cultural attractions, parades, delicious local food, to the jazz ensembles and major rock groups that will be gracing the stages, Jazz Fest is a non stop celebration of the sights and sounds of New Orleans. If you're visiting Jazz Fest this year, know the schedule. With 12 stages and tents constantly buzzing with simultaneous performances from 11am-7pm, there is a lot to see. With a plan for each day, you can be sure to make it to your must see acts. 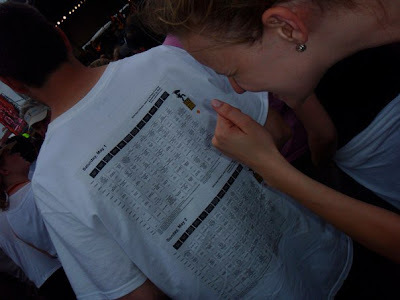 Checking the lineup on a friend's official t-shirt. Another important tip: wear sunscreen, bring a hat and sunglasses, and dress in cool clothes. For some more survival tips for three non-stop days of dancing in the sun, visit Go Nola! Besides the obvious attractions of Jazz Fest, there are some can't-miss-'em New Orleans staples that every visit needs. Before the music starts at 11am, stop by Cafe Du Monde for some coffee and melt in your mouth beignets. After the shows end, make your way to the French Quarter for a world famous hurricane. I recommend Pat O's. 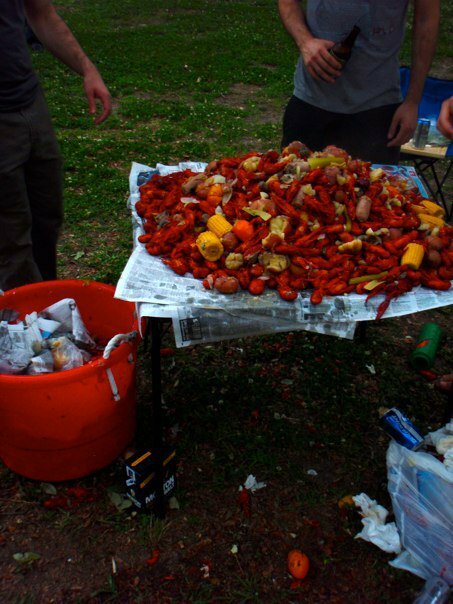 If you have time, stop by a crawfish boil. Crawfish are featured in many of New Orleans' most famous eateries, but there is something authentic about participating in the tried and true southern tradition of a boil. ﻿If you really want a taste of Louisiana, get out of the city and head to the Bayou. The bayou may conjure up images from The History Channel's "Swamp People," or make you whistle a tune from Creedence Clearwater Revival, but to really get a feel for what the bayou is all about, take a tour of the swamp on an airboat. For a complete listing of swamp tour companies, visit here. 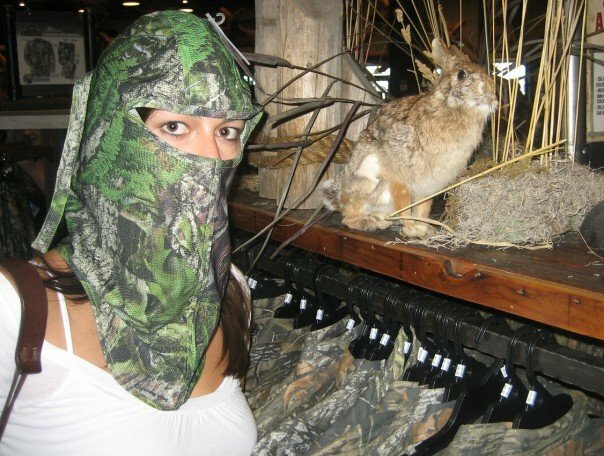 I recommend making the most of it with bloody marys and few items that will have you bonding with the locals before you can say alligator. I brought a net that I found at a nearby gas station for less than $10. Before long, you'll be seeing all sorts of animals. 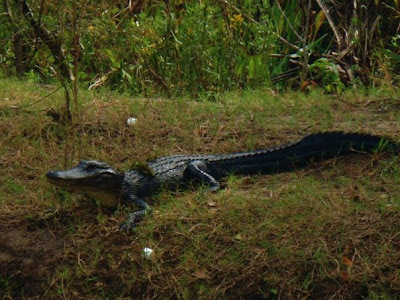 The swamp tour is a great way to see a completely different side to Louisiana, and will really round out your experience. I can't wait to go again--thankfully, we saved our net. With so much to do and see in and around New Orleans, you'll be scheduling another trip after Jazz Fest in no time. Don't worry--more recommendations from us are on the way!